I had a weekend of culinary failures. I started my Sunday with plans to make a delicious, fattening Oreo ice cream, but as I finished the vanilla base and poured it into the bowl, it just would not thicken up. Twenty minutes later, I still had a milky soup — that was when I realized that (duh) the bowl wasn't frozen yet. I chalked that up to a lost cause and threw the base back into the fridge, then decided to make a smoothie instead. 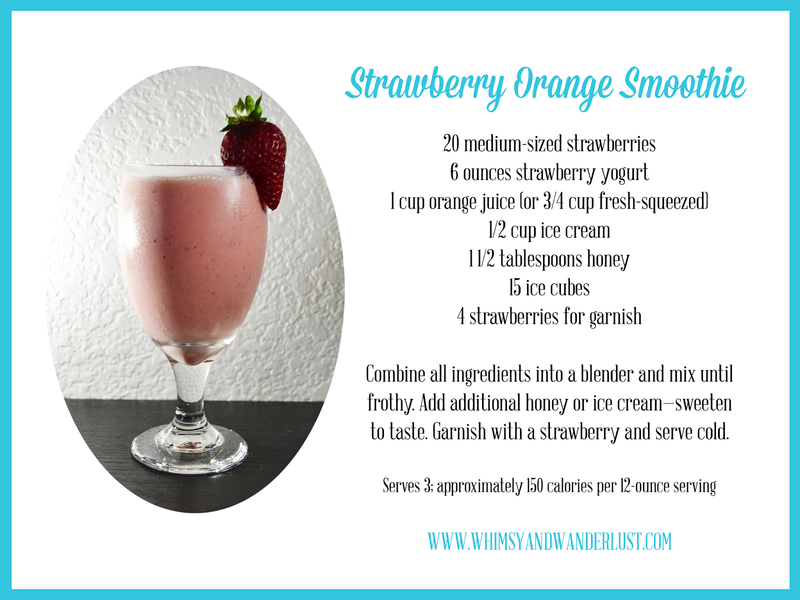 I had a bowl of fresh farmers market strawberries sitting in my fridge all week, perfect for a simple strawberry orange smoothie. If you don't have fresh strawberries, frozen actually work as well — though they're not quite as healthy (but they usually end up being sweeter). I prefer the regular bag of frozen strawberries from Trader Joes, which is around $1.75 at my local store. I don't usually buy organic, so the bag I buy ("fancy strawberries"), usually makes about two batches. You can also substitute store-bought OJ for fresh-squeezed — I'm incredibly lazy in the kitchen and usually go for the Minute Maid. After everything is blended, I usually do a quick taste test. Because the sweetness of strawberries can vary drastically, sometimes I'll end up putting in additional ice cream or honey at the end. The garnish is optional, but if you choose to do it, I usually set aside an extra berry in case I break one completely in half. 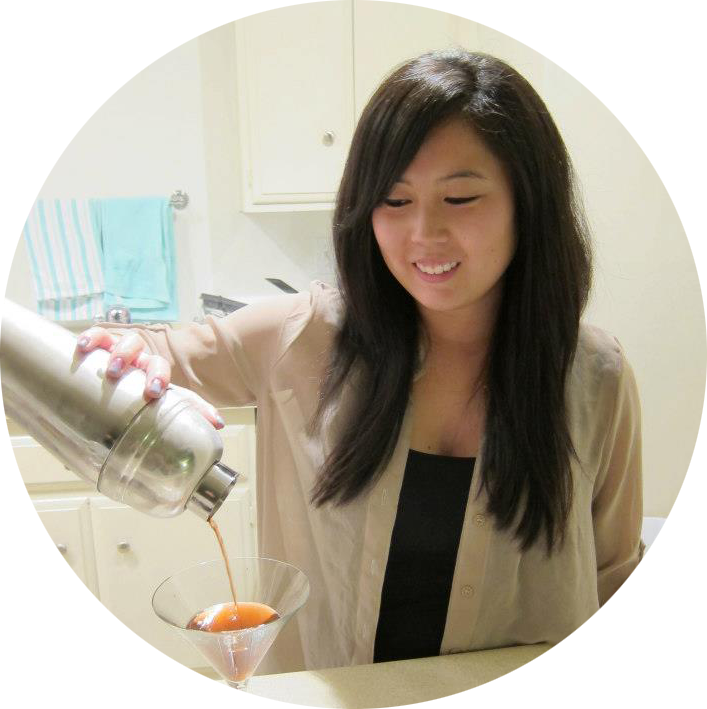 Another fun way to serve the smoothie, especially for a girls' brunch, is in a chilled martini glass with a sugared rim. Less calories, and a prettier presentation. Enjoy!